I Gotta Do What?!!! 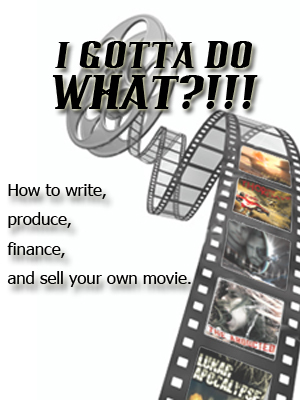 – Answers to getting your films made, seen, and sold worldwide. Imagine the excitement and emotion of a packed audience during the premiere of your first movie. How about claiming your first award or participating in your first Q&A session? Can you see the lights, hear the gasps/laughter, and smell the popcorn? What are you waiting for? Become a member and let us help you navigate writing, producing, financing, marketing, and the distribution of your film. It starts with a strong script – but there's more. From generating a marketable concept, crafting a solid story, and breathing life into relatable characters, it all starts with a solid foundation. Learn how to spot a strong script, where to find one, or how to create your own. One of the biggest problems you have is finding money to make your movie. How much will it cost you? Breakdown? Schedule? Budget? Business plan? Incentives? Crowd funding? It takes a village! A big, mobile, creative, thinking on your feet village to make a movie. You will need to fill many roles and have everyone thinking on their feet. What camera should you use? Insurance? Payroll? Locations? Makeup? Special FX? Sound? Everyone has an idea for a blockbuster film. Everyone in Hollywood has a script ready for production. I’m even betting that quite a few of you reading this book today have a film already in the can. The unfortunate reality is that many will become very expensive home movies and those that do not may or may not result in a return on investment for its investors. 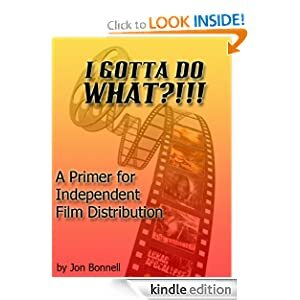 From a distribution standpoint, the success of your project is determined before you ever roll camera and shout Action!